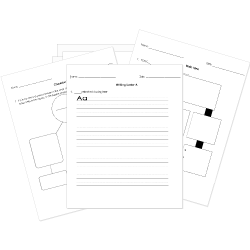 You can create printable tests and worksheets from these Grade 10 Antigone questions! Select one or more questions using the checkboxes above each question. Then click the add selected questions to a test button before moving to another page. After reading the following dialogue between Creon and Haimon, infer what type of government each believes to be best. Creon: "And the City proposes to teach me how to rule? My voice is the one voice giving orders in this City!" Haimon: "It is no City if it takes orders from one voice." C: "The State is the King!" H: "Yes, if the Sate is a desert." Creon probably believes a Dictatorship is best. Haimon probably believes a Democracy is best. Creon: "Polyneices, I say, is to have no burial: no man is to touch him or say the least prayer for him; he shall lie on the plain, unburied; and the birds and scavenging dogs can do with him whatever they like" (197). Polyneices is being denied his burial rites. .